St. Martin's Press, 9781250066732, 304pp. Lainie Smith Morris is perfectly content with her life in New York City: she has four children, a handsome surgeon husband, and good friends. This life she has built is shattered, however, when her husband Charles announces he has accepted a job in Elliot, New Jersey, and that the family must relocate. Lainie is forced to give up the things she knows and loves. Though Charles easily adapts to the intricacies of suburban life, even thriving in it, Lainie finds herself increasingly troubled and bored by her new limited responsibilities, and she remains desperate for the inspiration, comfort, and safety of the city she called home. She is hopelessly lost--until, serendipitously, she reconnects with an old friend/rival turned current Elliot resident, Jess. Pleased to demonstrate her social superiority to Lainie, Jess helps her find a footing, even encouraging Lainie to develop as an artist; but what looks like friendship is quickly supplanted by a betrayal with earth-shattering impact, and a move to the suburbs becomes a metaphor for a woman who must search to find a new home ground in the shifting winds of marriage, family, career, and friendship. 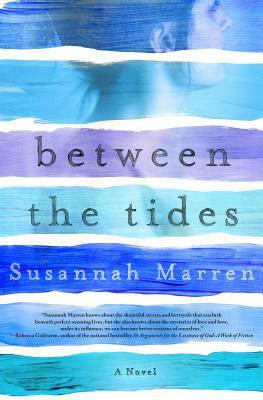 Between the Tides is an engrossing, commanding debut from tremendous new talent Susannah Marren. SUSANNAH MARREN is originally from Long Beach Island, New Jersey. She currently lives in Manhattan with her family and still spends her summers on the Jersey Shore. Between the Tides is her first novel.